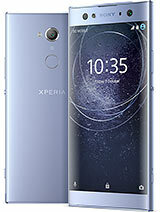 hi users... i just want to know if this phone is easy to use?? or is it a complicated one??? Anonymous, 19 Dec 2010guy's install gingerbread keyboard in your x8, the keyboard is great.it's not there in apps store..
RedFox, 18 Dec 2010You can transfer files via Bluetooth if you use free application from android market. go to ma... moreif i go to android market and install bluetooth file transfer do i need to connect in internet? guy's install gingerbread keyboard in your x8, the keyboard is great. Updating to 2.1 have issues. 1. Can not play some videos in .3gp that I can play from 1.6. I downloaded apps in the market but same files will not play. 2.) 3G data connection is not good than 1.6. Roar..., 18 Dec 2010Go to Greenhills, it's 10.3k with SE one year warranty. My friend bought one two weeks ago and... moreHow come that it is just one year warranty? mine is 2 years! xperia user, 18 Dec 2010please help me guys, i cant send pictures or music using bluetooth on my xperia x8. what can i... moreYou can transfer files via Bluetooth if you use free application from android market. go to market and find app called "bluetooth file transfer". I have X8,and I'm really enjoying having it. Its camera is not the best,but it's good. Only thing I don't like on it are small buttons when writing a text. hi roar.. you tried x8 already right? how was it? any lacks? if compared to x10 mini, what do you think? please help me guys, i cant send pictures or music using bluetooth on my xperia x8. what can i do?? please give step by step procedures how to do.. Thanks! Anonymous, 18 Dec 2010It can connect on other sites thru the built in browser and theres a 3g or H in the status bar... moreare u in roaming..
Roar..., 18 Dec 2010Do you see 3G or H on the signal bar? If not, it's not connecting properly...It can connect on other sites thru the built in browser and theres a 3g or H in the status bar but still cant connect thru youtube, facebook,even the market place.